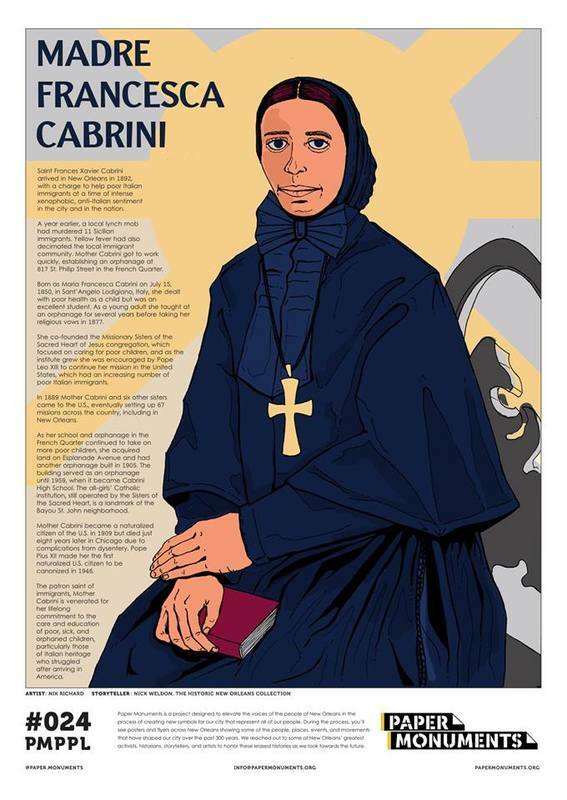 Paper Monuments Project #024: The story of Mother Cabrini's work on behalf of Italian immigrants in late-19th and early 20th-century New Orleans. St. Frances Xavier Cabrini arrived in New Orleans in 1892, with a charge to help poor Italian immigrants at a time of intense xenophobia in the city. A year earlier, a local lynch mob had murdered 11 Sicilian immigrants. Yellow fever had also decimated the local immigrant community. Mother Cabrini got to work quickly, establishing an orphanage at 817 St. Philip Street in the French Quarter. Born as Maria Francesca Cabrini on July 15, 1850, in Sant’Angelo Lodigiano, Italy, she dealt with poor health as a child but was an excellent student. As a young adult she taught at an orphanage for several years before taking her religious vows in 1877. She co-founded the Missionary Sisters of the Sacred Heart of Jesus congregation, which focused on caring for poor children, and as the institute grew she was encouraged by Pope Leo XIII to continue her mission in the United States, which had an increasing number of poor Italian immigrants. In 1889 Mother Cabrini and six other sisters came to the U.S., eventually setting up 67 missions across the country, including in New Orleans. As her school and orphanage in the French Quarter continued to take on more poor children, she acquired land on Esplanade Avenue and had another orphanage built in 1905. The building served as an orphanage until 1959, when it became Cabrini High School New Orleans. Mother Cabrini became a naturalized citizen of the U.S. in 1909 but died just eight years later in Chicago due to complications from dysentery. Pope Pius XII made her the first naturalized U.S. citizen to be canonized in 1946. The patron saint of immigrants, Mother Cabrini is venerated for her lifelong commitment to the care and education of poor, sick, and orphaned children, particularly those of Italian heritage who struggled after arriving in America. 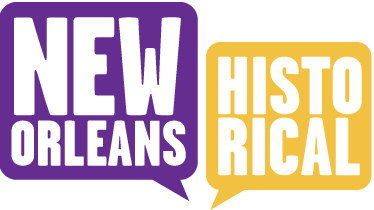 Paper Monuments, Nik Richard, Artwork , and Nick Weldon, Narrative, “Madre Francesca Cabrini,” New Orleans Historical, accessed April 24, 2019, https://neworleanshistorical.org/items/show/1442.